BusinessRadioX® is pleased to announce the latest addition to its radio family, Senior Salute Radio, hosted by Victoria Collier with The Elder & Disability Law Firm of Victoria L. Collier, PC. Senior Salute Radio brings timely information to leading edge Boomers and Seniors about issues involving caregiving and aging. On Friday, June 6, 2014, BusinessRadioX® welcomes to the studio the latest addition to its radio family, Senior Salute Radio, hosted by Victoria Collier, from Gwinnett BusinessRadioX®. Senior Salute Radio, presented by The Elder & Disability Law Firm of Victoria L. Collier, PC, brings timely information to leading edge Boomers and Seniors about issues involving caregiving and aging. Listeners will learn from both professionals and regular people going through the process with their families. Each week, the show will Salute an incredible Senior. 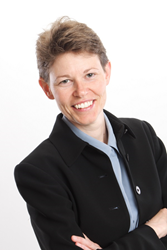 Collier is a Certified Elder Law Attorney who founded The Elder & Disability Law Firm of Victoria L. Collier, PC. Prior to that, she served in the USAF and Army Reserves, as well as worked as a nurse’s aide in nursing homes and for home health care companies. She has been appointed by past Gov. Purdue to sit on the Board of The Council on Aging and was voted as Veteran of the Year for Dekalb County in 2013. Collier is the author of several books, which include topics on Estate Planning, Veterans Benefits, and Long-term Care Planning to include Medicaid Planning. She has committed her life and career to serving the needs of seniors and helping them maintain their quality of life. "Victoria brings an incredible amount of experience in working with seniors to the studio, and her show will be an excellent addition to our line-up," said Mike Sammond, Owner of Gwinnett BusinessRadioX®. Join us for this inaugural episode at 3:00pm EST on Friday, June 6th, on Senior Salute Radio.